To celebrate the 50th anniversary of the Beatles’ first visit to the United States. Astonishing, richly spontaneous, and almost entirely unpublished images of the Beatles’ historic first trip to the United States, as chronicled by an award-winning photographer given unique access to their tour. Published to coincide with the fiftieth anniversary of the Beatles’ first visit to the United States, this rare and mostly unseen collection of photographs marks the beginning of the British Invasion. In February 1964, photographer Bill Eppridge was on assignment for Life magazine to cover the band’s arrival at JFK airport. He was then invited to continue shooting in their room at the Plaza Hotel and during the days that followed, notably at the Ed Sullivan Show rehearsal and historic performance; in Central Park; on a train ride to Washington, D.C., for the concert at the Washington Coliseum; at the British embassy; and at their renowned performance at Carnegie Hall. The book is an intimate fly-on-the-wall account of a visit that introduced the Beatles to America and changed the course of music, internationalizing the industry and opening the door for other artists to achieve global success. Bill Eppridge completed the book with his wife and editor Adrienne Aurichio just before his untimely death in October, 2013. Bill Eppridge's photographs of the Beatles 1964 trip will be featured in the exhibition "Bill Eppridge: 1964", April 25 - June 22 at Monroe Gallery of Photography. The exhibit includes other landmark stories Eppridge covered that year: The 1964 Newport Folk Festival, "Mississippi Burning": the funeral of James Chaney, and Needle Park. Monroe Gallery of Photography will exhibit Bill Eppridge's photographs in booth #421 during the AIPAD Photography Show in New York April 10 - 13. 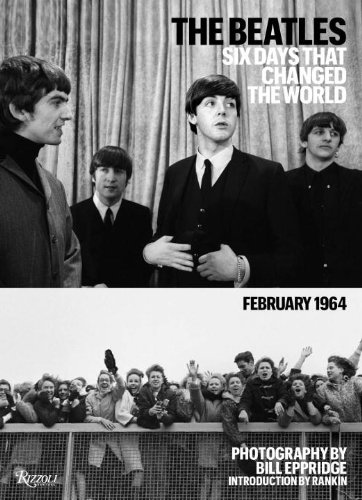 Copies of "The Beatles: Six Day That Changed the World" signed by Adrienne Aurichio are available from the gallery. Just about every exhibit of photographs focusing on the Civil Rights movement features images of the big names: Martin Luther King Jr., Ralph Abernathy, Benjamin Hooks, James Baldwin, the Little Rock Nine. The show that opens Tuesday at The William Benton Museum of Art in Storrs has pictures of those people. But the real stars of "Making the Movement Move: Photography, Student Activism and Civil Rights" are the nameless activists in the trenches who marched, sat in, got arrested and were jailed. "You see a much broader picture of the movement, with some events much more quiet and intimate," said Ally Johnson, curator of the exhibit. "The mainstream press typically got the more striking images, the fire hoses and the dog attacks, the aggressive images, but Danny Lyon got the calmer images, the meetings, the everyday activities." Fifty photos by Lyon, on loan to UConn from alumni Sheldron and Helen Seplowitz of Stamford, are the core of the show, which also has 10 photos by Ernest Withers. Lyon was a staff photographer of the Student Nonviolent Coordinating Committee. Withers was a photographer for black newspapers. The most haunting photo in the exhibit shows more than a dozen teenage girls who had been arrested for demonstrating in Americus, Ga., in 1963. They were held without charges in a jail outside Leesburg, without access to bedding, toilets or decent food. "I am 13 years old and was in Leesburg stockade from August 31 to September 8," recalled one of them, Henrietta Fuller, whose quote is on an exhibit wall. "I urinated where the water from the shower drains down. Some of the girls used a piece of cardboard that came from the boxes, the cardboard boxes, that the hamburgers were brought in." Lyon had to take the photo secretly, and it helped get the girls out of the jail. Another young woman, whose name is lost to history, is seen clutching the bars of a police van after being arrested. Youths mill around outside a restaurant that barred them admittance, and other youths sit at a diner, not being served. In another photo, several white men stand behind a sign reading "Private Pool Members Only," while a line of black men tries unsuccessfully to enter. Protesters are seen being carried away by police, some passively, some fighting. Another Lyon photo shows that the movement was not just black vs. white. The 1963 photo taken in Atlanta shows a white woman berating a crowd of white men who were kicking and harassing student demonstrators and burning them with cigarettes. "She stepped into the midst of the mob…'You should be ashamed of yourselves,' she yelled at them," Lyon is quoted in the exhibit. "Then from the back of the crowd someone yelled, 'If you feel that way, why don't you marry one of them?,' and everyone laughed. The heroine ... sat down and joined the demonstrators." A black church choir sings "This Little Light of Mine" in another photograph. An audio component of the exhibit lets visitors hear a recording made that night of the choir singing that song. Not all the photos have people in them, but are disturbing nonetheless. An image of white and colored drinking fountains side by side in a Georgia courthouse shows not just that separate but equal was a myth, but also that such facilities were set up to intimidate AfricanAmericans. They had to bend down farther to get their water, at a much smaller fountain, in uncomfortably close proximity to the white fountain. A user of the white fountain could block access to the colored fountain. Even more chilling are images of white Southern police officers. One drags casually on a cigarette while carrying away a protester. Some stand with firearms at the ready, watching protesters. In one photo, a cop flips off Lyon, and another grabs his crotch and makes a face. A complementary exhibit upstairs from the Lyon-Withers show is a series of photos taken at UConn in April 1974, when students sat in at the Wilbur Cross Library to demand equal opportunity guidelines, affirmative action and a larger African American cultural center on campus. Johnson said the Benton hopes people who went to UConn at that time come see the exhibit and help curators identify the people in the photos. "Making The Movement Move: Photography, Student Activism and Civil Rights" is at the Benton Museum, 245 Glenbrook Road, on the campus of the University of Connecticut in Storrs, from Tuesday until March 30. The opening reception is Thursday from 4:30 to 7 p.m. Gallery hours are Tuesday to Friday, 10 a.m. to 4:30 p.m., and Saturday and Sunday, 1 to 4:30 p.m. Admission is free. More at http://www.thebenton.org. 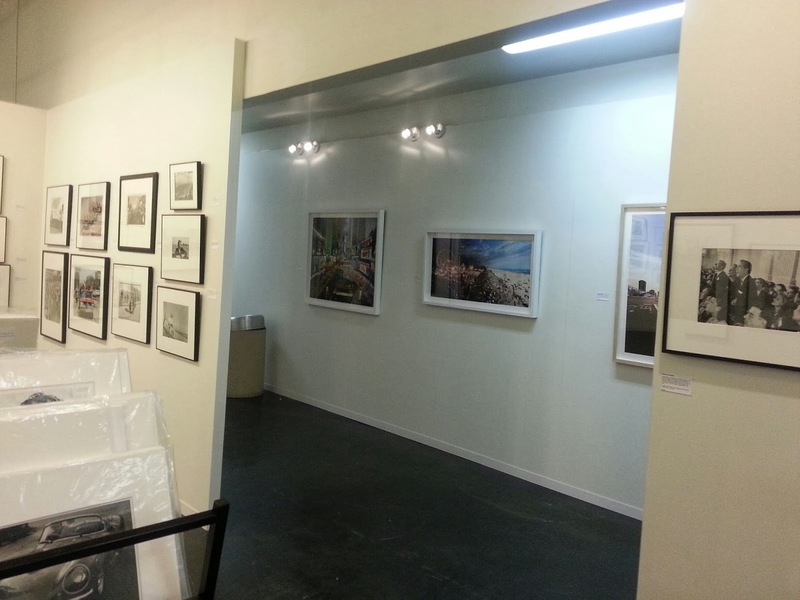 For nearly 15 years, we have been exhibiting at the Photo LA fair. We are pleased to return for the 23rd edition, this year being held at the spacious LA Mart. Please visit us through Sunday in Booth #302. Click here for the digital catalogue. 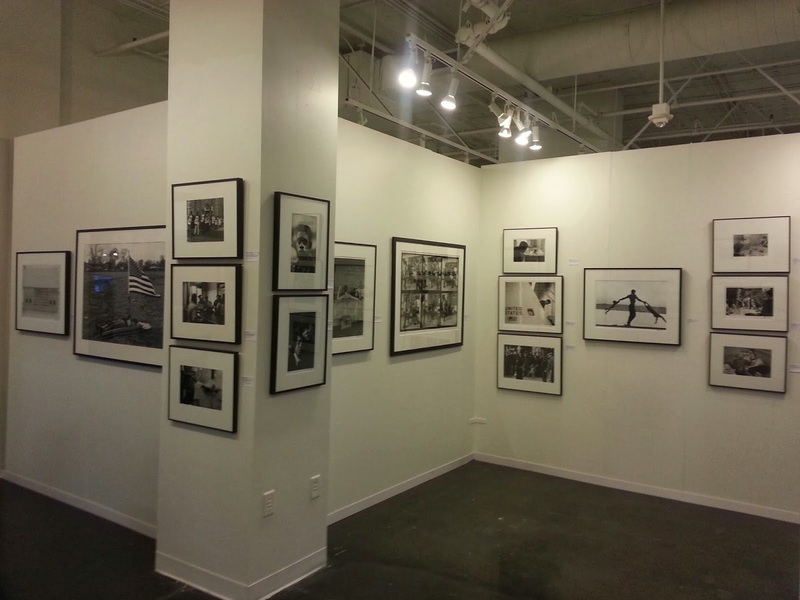 Monroe Gallery of Photography will be exhibiting at the 23rd edition of photo l.a. January 16 - 19 in a new location: downtown at the L.A. Mart, 1933 Broadway. The exhibition opens Thursday with an opening Gala benefitting Inner-City Arts, tickets available here. We'll be in booth #302 featuring an important selection of 20th and 21st Century photojournalism and classic black and white photography. We will be bringing significant photographs by the great LIFE magazine photographes Bill Eppridge and John Dominis. Additionally, we we be exhibiting a rare oversize example of Ernst Haas' classic "Route 66, Albuquerque, New Mexico, 1969" and recent Day To Night photographs by Stephen Wilkes. Over the weekend, the city's new cultural hub is celebrating the arts in a major way. As the LA Times calls it, January 15th-19th will be an absolute "Artapalooza." In celebration of Arts Month Los Angeles, photo l.a., the LA Art Show, and a number of Downtown galleries and museums are coming together to celebrate the arts and culture not only of LA, but of the world at large. Photograph magazine writes: Southern California not only has sunny skies, but a wealth of photography exhibits and fairs. GQ agrees: Downtown LA has simply become the place to be - and don't miss the Classic Photographs show. We look forward to seeing you during the fair. Further information here, or please contact the gallery. Organized by NSU Museum of Art Fort Lauderdale as part of its Foto Fort Lauderdale initiative and curated by Peter Boswell. In commemoration of the 50th anniversary of the Civil Rights Act of 1964, NSU Museum of Art Fort Lauderdale will present an exhibition featuring the imagery of renowned photographer Bob Adelman. Adelman’s unique vantage point at the forefront of the Civil Rights movement led him to produce some of that era’s most iconic images. The Movement: Bob Adelman and Civil Rights Era Photography, presented by AutoNation, will be on view at NSU Museum of Art Fort Lauderdale from January 19 – May 17, 2014. Featuring 100 black-and-white and color photographs, the exhibition will provide a context in which viewers can revisit these years of struggle and consider how and why certain images have become emblematic of the era. In conjunction with the exhibition, the Museum will present a series of special programs and events. Between 1963 and 1968, Bob Adelman was a photographer for the Congress of Racial Equality, the Student Non-Violent Coordinating Committee, the NAACP Legal Defense Fund, and other civil rights organizations. His work granted him unique access to the movement’s most important events and figures, and he forged close ties with such civil rights leaders as Martin Luther King, Jr. , Malcolm X, John Lewis, and James Baldwin. His work was featured in major publications of the civil rights period. Events documented in the exhibition include: the Freedom Rides; the 1963 Birmingham demonstrations during which demonstrators were hosed and attacked by police dogs; the 1963 March on Washington, which culminated in Martin Luther King's "I have a Dream" speech; voter registration drives; the 1965 Selma-to-Montgomery March; and Martin Luther King,Jr funeral. A number of the photographs on view in the exhibition have never before been published. Adelman has photographed cover stories for many magazines including Esquire, Time, Life, New York, Harper’s, The New York Times Magazine, and Paris Match, and has photographed or written more than a dozen books and produced many others, including King: The Photobiography of Martin Luther King, Jr. (Abrams, 2004). Adelman has received a Guggenheim Fellowship, an NEA grant, and several Art Directors Club Awards. His photographs have been exhibited the Smithsonian, the American Federation of Arts, and other institutions, and are included in the collection of the Museum of Modern Art, New York. He currently lives in Miami Beach. 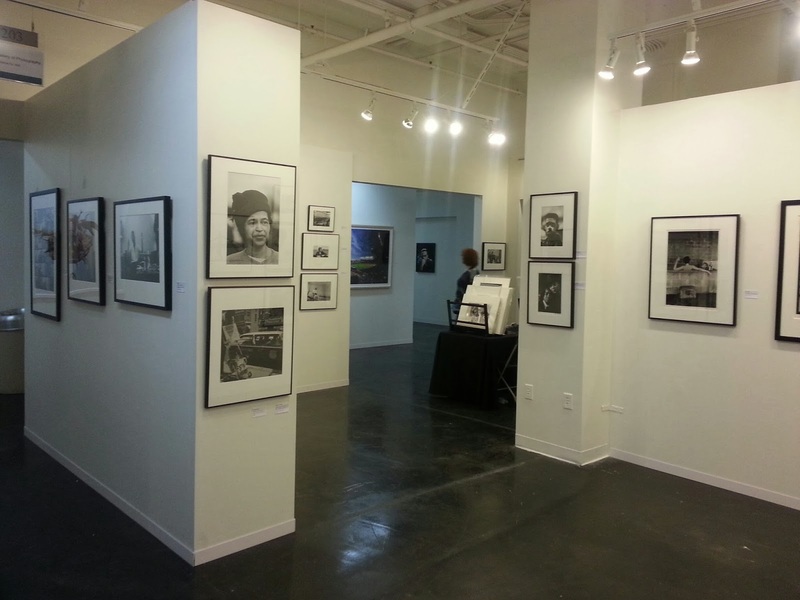 The Movement: Bob Adelman and Civil Rights Era Photography is presented by AutoNation. Additional support provided by the Community Foundation of Broward; Simkins Hollis Law Group, PC, in loving memory of Dr. Anna Atkins Simkins; the Dr. Martin Luther King, Jr. Celebration Committee, Inc.; W Fort Lauderdale and Media Partner CBS4. A Library of Congress symposium on Jan. 13 will bring together photographers who took pictures at the March on Washington more than 50 years ago. "With Their Own Eyes: Photographers Witness the March on Washington" is being held in conjunction with the Library’s exhibition "A Day Like No Other: Commemorating the 50th Anniversary of the March on Washington," which is on view through March 1. The symposium will be held from 1 p.m. to 4 p.m. on Monday, Jan. 13, in the Whittall Pavilion on the ground floor of the Thomas Jefferson Building, 10 First St. S.E., Washington, D.C. The event is free and open to the public. No tickets or reservations are needed. Photographers featured in the exhibition, along with relatives of photographers no longer alive, will take part in the program. The participants include Bob Adelman; Theresa Lynn Carter, the daughter of Roosevelt Carter; Brigitte Freed, the widow of Leonard Freed; and David Johnson. They will share their accounts of the day and discuss how the march changed their lives. Keith Jenkins will moderate the discussion. Bob Adelman is a photographer known for his images of the Civil Rights Movement. His interest in social and political events of the day drew him to the sit-ins staged by young students across the American South. In the early 1960s, he volunteered to photograph demonstrations for the Congress of Racial Equality (CORE). He was close friends with Martin Luther King, Jr. and U.S. Rep. John Lewis. Adelman continues to be involved with civil rights issues and the human condition. Theresa Lynn Carter is the daughter of Roosevelt Carter (1926-1981), who traveled to Washington with a church group from Columbus, Ohio. He brought along his camera to capture a personal view of the day. He focused on the thousands of faces along the March route from every walk of life, including the many celebrities. Brigitte Freed is the widow of Leonard Freed (1929-2006) and was his darkroom assistant. The couple was based in Amsterdam, The Netherlands, until a photograph taken by Leonard Freed of a black American soldier guarding the Berlin Wall compelled him to return home to the United States to document the civil rights struggle in 1963. Freed’s photographs from 1963 to 1965 were published in the now-classic book "Black in White America." David Johnson is a professional photographer who credits Ansel Adams as his major influence. Johnson documented black life and culture in the early years of the Civil Rights Movement. He attended the March on Washington as a delegate from the Bay Area NAACP and covered the event for a local newspaper. Keith Jenkins, director of photography at the National Geographic Society, is a former supervising senior producer for multimedia at National Public Radio. Prior to working at NPR, Jenkins was the first director of photography at AOL. He spent 13 years at the Washington Post in various positions, from staff photographer to photography editor for the Washington Post Magazine and Washingtonpost.com. Earlier, Jenkins worked as a staff photographer for the Boston Globe. After the symposium, tours of the exhibition will be offered. "A Day Like No Other: Commemorating the 50th Anniversary of the March on Washington" which opened on Aug. 28, 2013 and closes on March 1, 2014, consists of 40 iconic black-and-white images that mark what Martin Luther King, Jr., called "the greatest demonstration for freedom in the nation’s history." The photographs, part of the Library’s Prints and Photographs Division collections, convey the immediacy of being at the march and the excitement of those who were there. A video-screen display in the exhibition features another 75 images. The Prints and Photographs Division includes more than 15 million photographs, drawings and prints form the 15th century to the present day. International in scope, these visual collections represent a uniquely rich array of human experience, knowledge, creativity and achievement, touching on almost every realm of endeavor: science, art, invention, government and political struggle, and the recording of history. For more information, visit www.loc.gov/rr/print/. What are the rights of citizens & the press to photograph and record in public? Can police seize and view those images or order them to be deleted? What is some of the most recent caselaw regarding these issues? How can we foster a better understanding of our respective rights & responsibilities in order to have a greater respect for the roles that everyone plays in newsgathering and free speech?